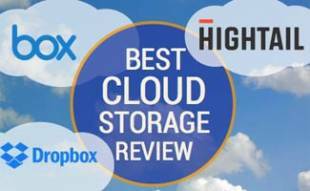 Home > Security > Online Security > Cloud Storage > Mozy vs Carbonite: What’s the Better Web Storage Provider? Mozy and Carbonite offer many of the most desired features found with file storage providers. Determining which of these services is best for you greatly depends upon your file storage needs. 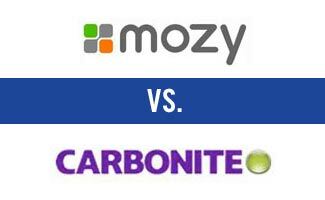 Let’s compare these two services so you can choose whether Mozy or Carbonite is the best choice for you. Some of the aspects that we look at include: pricing, features, home vs business use and overall performance. MozyHome is a backup service designed for individual consumers. This service is charged on a monthly subscription and the monthly fee is based upon usage. MozyPro is a backup service designed for business use. Users of MozyPro must obtain a separate license for every computer that is being backed up. Users may also obtain a server license for each server that is being backed up. Pricing is based upon each gigabyte of data that is being stored in the data center. MozyEnterprise is a backup service designed for larger companies. Users of MozyEnterprise can manage multi-user environments with enterprise grade security. Carbonite currently offers three product categories, one for home users, one for businesses, and one for your server. Each of the categories have subcategories that vary in features and pricing. Personal offers three levels of service: Personal Basic, Personal Plus and Personal Prime. Each of these services is charged on a yearly basis for a single computer license and offers unlimited storage space. These packages differ in terms of the features that each service offers. Pro offers three levels of service as well: Pro Basic, Pro Prime and Server Pro Bundle. Each of these services is available for an unlimited number of computers; however, storage space is limited. These services are charged on a yearly basis and offer 250 GB and 500 GB of storage respectively. Additional storage can be purchased for each of these packages. Server is the newest category that has been added by Carbonite. It also has three levels of service: Server Basic, Server Prime and Server Pro Bundle. This is the best backup for small to midsize businesses. All three plans support backup for Oracle, SQL, Exchange and other databases. One of the most significant concerns that come to mind when selecting a file backup service is the price point for each service. Mozy pricing differs slightly from Carbonite due to the fact that Carbonite offers unlimited storage and Mozy bases their pricing on storage space. Mozy pricing is customized to the amount of storage space required. For example looking at MozyPro, a 50 GB storage plan will cost $19.99 per month per computer. On a one year plan this same plan will cost $18.33 a month for a total of $219.89. On a two year plan this same plan will cost $17.50 per month per computer for a total of $419.79. MozyHome is similarly priced. A single computer license for a 50 GB storage plan costs $5.99 per month. A three computer license for a 125 GB plan costs $9.99 a month. Additional storage space can be added to each plan at a rate of $2 per month per 20 GB of extra storage. Additional computers can also be added for a cost of $2 per month per computer. Personal service from Carbonite offers unlimited GB for a single computer license. The most basic package is priced at $59.99 for an annual contract. As features are added the price rises to $99.99 per year for Personal Plus or $149.99 for Personal Prime. Pro service from Carbonite offers 250 GB of storage for an unlimited number of computers for $269.99 per year. Pro Prime service offers 500 GB of storage for an unlimited number of computers for $599.99 per year. Server service from Carbonite provides greater server backup protection starting at $799.99 per year. It then increases to $899.99 for Server Prime and $999.99 for Server Pro Bundle. Carbonite also gives you 5% off your 2 year subscription and 10% off your 3 year subscription. If you are looking for the most affordable data backup service then you will want to consider how much data you have to backup. 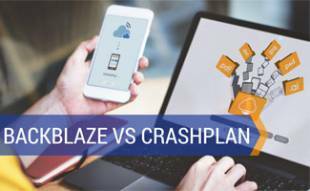 The amount of data that you have to backup will influence the base price for each plan. 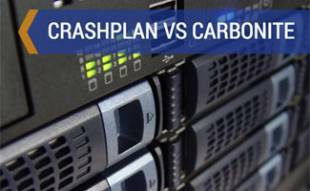 If you are simply comparing pricing on base plans however, Carbonite comes out in the lead, offering unlimited storage space for $5.00 a month charged on an annual basis. Mozy offers 50 GB of storage for home users for $5.99 a month. Should you want to cover 125 GB, Mozy is $9.99 a month. Carbonite Personal Prime has some nice upgrades over the standard Home version including Mirror Image backup, Automatic video backup and Courier Recovery Service. Mozy does not offer any additional features at their $9.99 per month level, except increasing the backup space to 125 GB. This is a full $40 per year less than Carbonite’s Personal Prime and Mozy also offers to backup three computers vs Carbonite’s one and offers protection for Mac users. The business packages are tricky to compare because Mozy’s pricing changes based on the number of computers and the space per computer, so we have done our best to create a similar MozyPro package to compare to Carbonite’s Pro Basic package. The pricing difference at the business level is dramatically different. While MozyPro offers server backup (for an additional fee), we feel Carbonite’s Pro Basic is a much better deal. When it comes to cost-effective data backup and recovery for large business, there’s really no contest when it comes to a premium business backup. For 500 GB, Mozy charges nearly four times as much as Carbonite’s Pro Prime and that doesn’t even include backup for your servers (that will be extra). Carbonite’s Pro Prime is the winner hands down. Is Mozy or Carbonite Best For You? As you can see from the examples given above, there are going to be situations where Mozy is the best choice for your individual needs and there are going to be times when Carbonite is a better choice instead. Overall though, in most cases Carbonite offers the best service in terms of storage space, pricing and home versus business use features. 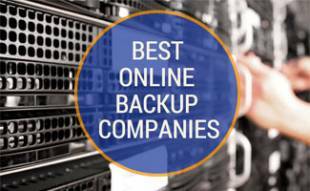 For a look at all of the leading online backup companies, including Mozy, Carbonite, SugarSync, Spider Oak, Elephant Drive, Dropbox and many others, visit What is the Best Online Backup Service?